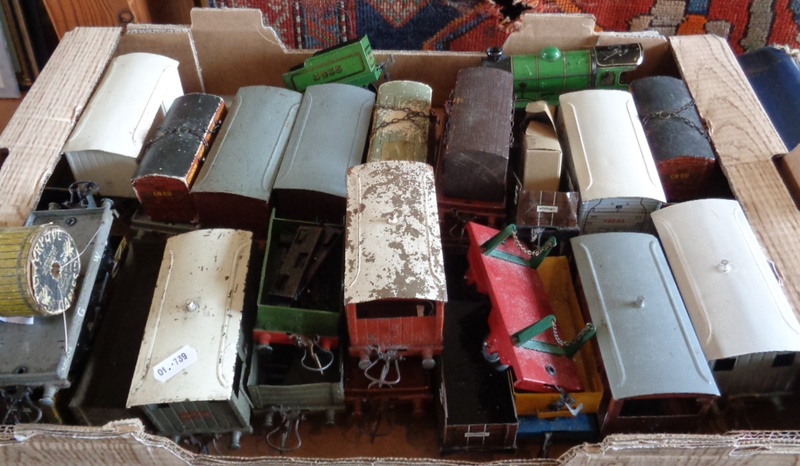 Meccano Hornby &quot;O&quot; gauge box of carriages, rolling stock, engine etc. Meccano Hornby "O" gauge box of carriages, rolling stock, engine etc. Lot 9 Antique Indian rug, approx 38" x 60"